Kids Get Charged With Assault For Throwing Water Balloons. When you were a kid there were certain things that were just innocent fun. Playing tag or even ding-dong ditching were just past-times to fill your childhood. 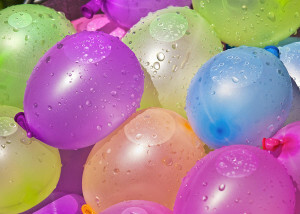 For the summer months it seemed that squirt-guns and water balloon fights reigned supreme, but this summer four teens are being charged with assault after throwing water balloons a pedestrians. Iowa City Police say that they had gotten complaints that four individuals were traveling in a car and throwing water balloons at unsuspecting pedestrians. The victim that made the complaint said that it first happened at about 11:30 p.m. on August 17. The group drove by and threw a water balloon at the victim, hitting him in the leg. One day later at 10:45 p.m. on a different street corner the victim says that the same vehicle drove by and hit him again. Cops stopped a vehicle that resembled the one that the victim described that night and charged Dallas K. Nye, Benjamin K. Miller, Jameson R. Lammer and Michael T. Leyden with counts of assault according to police. As other victims also reported the water balloon “attacks” they did not wish to press charges. Only the original man who called the police. I don’t think that these kids should get charged with assault. I mean they could have been throwing eggs instead of water balloons, but come on! 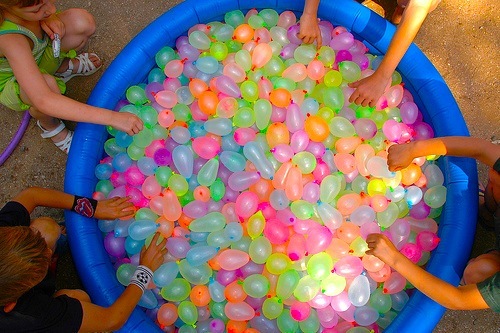 They’re just water balloons. Maybe that guy needs to fill up a pair of his own. They Were Looking Through Their Grandparents Attic, But NEVER EXPECTED To Find THIS! He Put Toilet Paper In A Can And Created Something Genius!